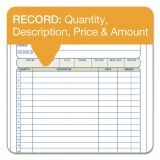 Note: A minimum quantity of 75 must be ordered, and in units of 25 thereafter. 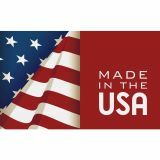 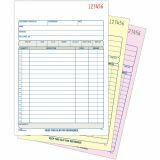 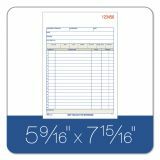 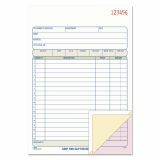 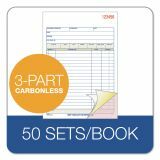 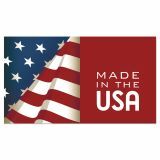 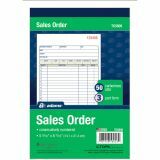 Adams 3-Part Carbonless Sales Order Books - Carbonless sales book offers multiple copies of transactions with each consecutively numbered. 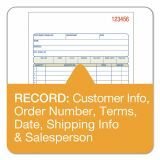 Each form includes a place for customer's order number, department, date, name of customer, customer address, seller, method of payment and an itemized list of 20 items with quantity, description, price and cost. 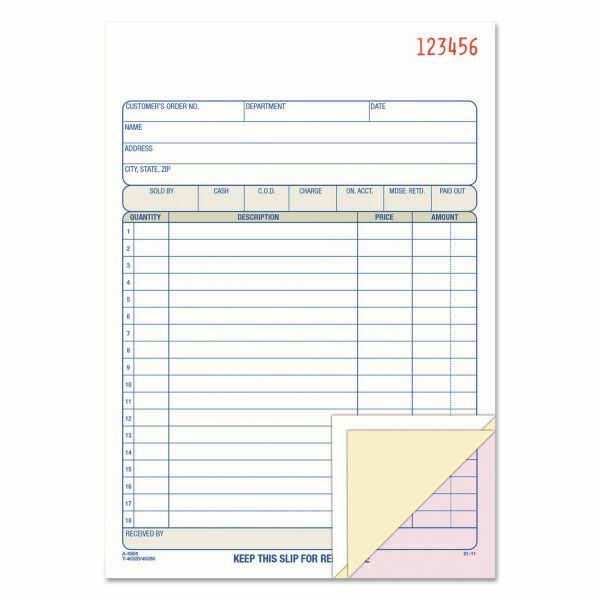 Space at top offers space for company stamp. 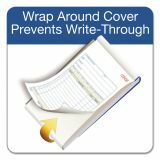 Use wraparound cover to place between sets. 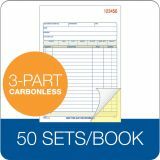 50 sets per book.